Shapoorji Pallonji Joyville Hinjewadi: Homes where dreams not only come true but also turn into joy. Shapoorji Pallonji, a renowned brand name in the real estate business in Pune believes in delivering the best to their customers and help in realizing their dreams. They have come a long way in the real estate business with a motto that customer satisfaction is the greatest profit they have to make. And, after years of hard work they have come up with one such project amongst the many which are known as Shapoorji Pallonji Joyville Hinjewadi. 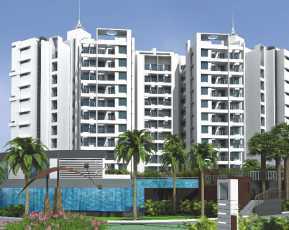 This is a suave residential complex which enjoys the availability of world-class amenities at very affordable prices. But one has to definitely give credit to its strategic location. 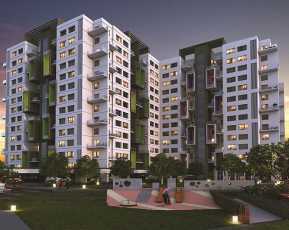 The project is located in Hinjawadi, Pune. Pune is the cultural capital of Maharashtra and one of the optimum destinations for real estate businesses and investments. Pune is one of the most developed and important cities of India and is popular as the ‘Oxford of the East’. Being the second greenest capital in India, Pune is a clean city with beautiful vegetation on the roadside and non-bumpy roads. Over the years, Pune has become a major attraction for reputed IT companies and is gradually becoming a hub. Hassle free commuting is a result of the connectivity of a very efficient network system of roads and highways. 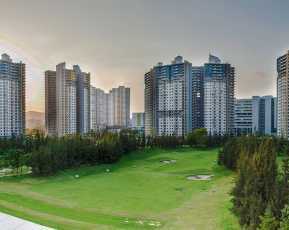 The Real Estate in Pune has gone through a very encouraging growth due to the increased number of buyers and the due to the perks of Pune being a cultural and the second most important city of Maharashtra. The project takes pride in providing world class amenities to its residents at very low and affordable prices thus one can say that this project has the best of both worlds. One can savor luxuries like Lush green landscapes, stylish living, well-planned layouts, proper air ventilation, ample sunlight, Wide balconies and large windows for an amazing view and so on. The homes are incredibly stylish with fabulous interiors and smart designs. A good furnishing and trendy layouts add some extra credits to these homes. This project is a gated complex with world class facilities like fitness and relaxation zones, a gymnasium for the fit generation, Club House, Kids Play Area, Swimming Pool, Gym, Open Space, Intercom, Power Backup, Basketball Court, Tennis Court and so on. There is no suspicion regarding the fact that this project has secured a unique place among all the Residential Apartments Hinjewadi Pune. 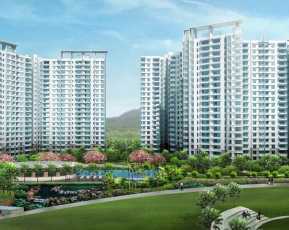 The apartment variants available in this complex are 1, 2 BHK sets spanning 425 - 650 areas, arranged as Residential Apartments. Throwing some light on the price range of these apartments, these apartments don’t fail to amaze the customers in that field as well. With the quality of world-class amenities, these apartments are quietly affordable. 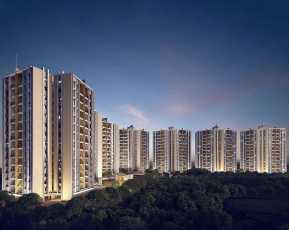 The Shapoorji Pallonji Joyville Hinjewadi Price ranges from as low as 40 Lakhs INR to 55 Lakhs INR. These apartments are super affordable when it comes to the premium amenities they provide. If one is aspiring for such amenities and a home of their dreams then he/she must invest in this property.